Award winning author Kristen Painter likes to balance her obsessions with shoes and cats by making the lives of her characters miserable and surprising her readers with interesting twists and incredible worlds. She writes paranormal romance and urban fantasy. The former college English teacher can often be found on twitter @Kristen_Painter or on Facebook at www.facebook.com/KristenPainterAuthor where she loves to interact with readers. 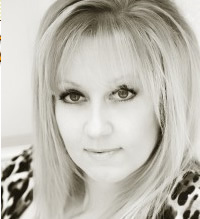 She’s also the co-founder of RomanceDivas.com, an award-winning writers’ forum. Sign up here: http://eepurl.com/xT-9L to find out when her next release is coming out. Kristen lives in Florida with her retired Air Force husband and a horde of feline dependants. She is represented by the Knight Agency.